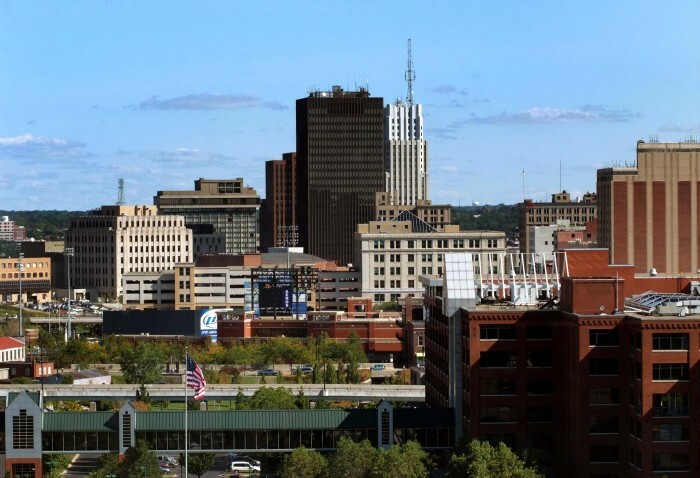 The Akron Biomedical Corridor, a 506-acre area, was created in 2006 and encompasses much of the City’s central business district. It geographically connects the City’s three major hospital systems- Akron General Health System, Summa Health System, and Akron Children’s Hospital- with The University of Akron. Its location provides opportunities for businesses to take advantage of an existing density of research, technical, and healthcare-related industries, an existing employment base of more than 11,000 people working in healthcare, access to exceptional transportation networks, and complementary cluster industries already established in the greater Akron area. The City’s land acquisition and infrastructure improvements will be targeted to support biomedical-related businesses that will locate here. Several major development opportunities exist within the Corridor including the Innerbelt area and the East Market and Forge Street areas. In addition, the Biomedical Corridor representatives have been working with the Austen BioInnovation Institute (ABIA) to coordinate corridor efforts and market the Corridor’s assets to prospective biomedical companies and support uses. For more information, please visit http://www.akronbiomedicalcorridor.com/. Not what you are looking for? Click one of the links below to learn more about other Developer opportunities.